If you were to make a list of all of your favorite things, chances are a trip to the dentist would not be one of them. But some people experience real anxiety about dental appointments – so much so that about 20% of us won’t even see a dentist until they absolutely need to. This, however, is not ideal. Regular dental visits can help ward off a variety of health problems. So what can you do if you are really anxious about going to the dentist? One solution is sedation dentistry. Oral sedation has become a popular way to overcome dental worries. It is both safe and effective. And the best part? It doesn’t require any needles! With sedation dentistry, you can relax and sleep through any dental procedure. Even if the procedure takes a few hours, to you it will only feel like a few minutes. Before we perform any sedation dentistry, we will first consult with you to review your specific needs. This will help us determine which level of sedation dentistry is right for you. Three levels of sedation include nitrous oxide, valium sedation, and conscious sedation. Also referred to as “laughing gas”, this short-term sedation option allows you to drive yourself to and from your dental appointment. Nitrous oxide is administered using an oxygen mask. You will begin to drift off as soon as the nitrous oxide is delivered, allowing you to have a completely relaxed experience. With valium sedation, you can start to feel relaxed even before you get to the dentist office, making this a good choice for those with severe anxiety. This is also a good choice for those who have experienced painful or uncomfortable dental visits due to TMJ, a prominent tongue, or a strong gag reflex. If you don’t like the feeling of being out of control during your dental visit, then conscious sedation may be the choice for you. This method of sedation dentistry uses a combination of medications to help you block pain and relax. You will still be awake enough to communicate any discomfort with your dentist, but it is unlikely you will remember much about the procedure once it is over. 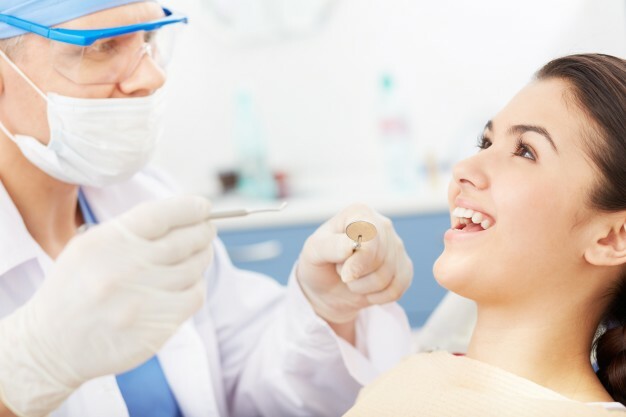 If you would like to overcome your worries and anxiety about see your dentist, then call Sapphire Dental Centre today at 905-878-8760 to learn more about sedation dentistry.